View of Charles J. Arthur stable with men and women and their carriages posing in front. 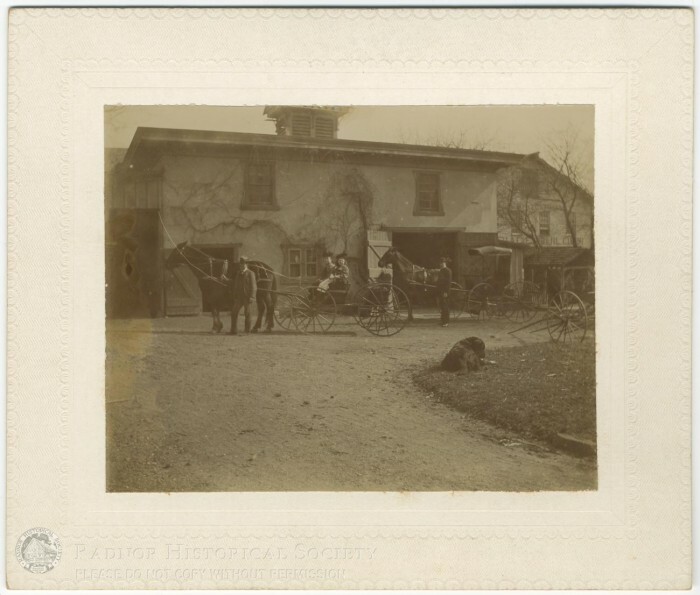 Handwritten on the back: "Arthur Stable / Rosemont / Charles J. Arthur Stable / s.w. corner Lancaster Pike / & Haverford Road / Rosemont."